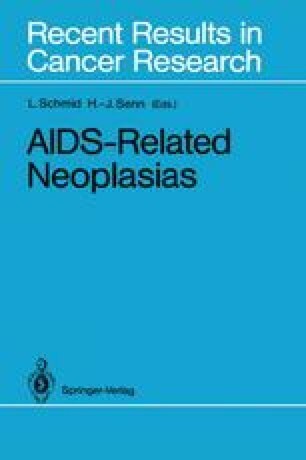 In June 1981 the initial reports of the occurrences of Pneumocystis carinii pneumonia and Kaposi’s sarcoma in previously healthy homosexual men [1, 2] heralded the beginning of the epidemic now known as the acquired immune deficiency syndrome (AIDS). Shortly thereafter it was recognized that the particular populations found to be at risk for the development of AIDS — homosexual or bisexual men, intravenous drug users, hemophiliacs, and people who have received blood transfusions or other blood products — were also known to be at risk for infection with hepatitis B (HBV). This manuskript was supported by the Howard Gilman Foundation and the Samuel and May Rudin Foundation, both of New York.